NOTE: THIS IS A RESTORED ARCHIVE OF THE ORIGINAL PAGE. DESIGN, ART WORK, STORIES AND CHARACTERS ARE COPYRIGHT THE ORIGINAL CREATORS. NO PROFIT IS BEING MADE FROM THE WRITING OR HOSTING OF THIS SERIES. It all began on Christmas Day 1998. Mulder and Scully have definitely discovered a wonderful way to celebrate the holidays throughout 1999! This Series is written from Mulder's POV and explores their changing relationship as they pass major holidays and milestones. Most of these stories can be considered NC-17, so if you are underage, turn back. I mean it. TREASURED - Mulder explores Scully's past at her mother's house on Mother's Day. NC-17 NC-17. 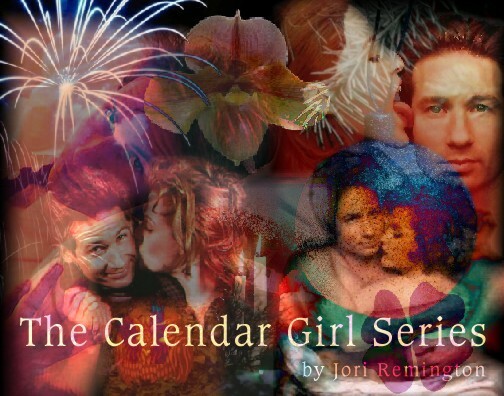 Continue to the CALENDAR GIRL II stories! Permission to reproduce this work was unable to be obtained, please view the About page for further information about this project.